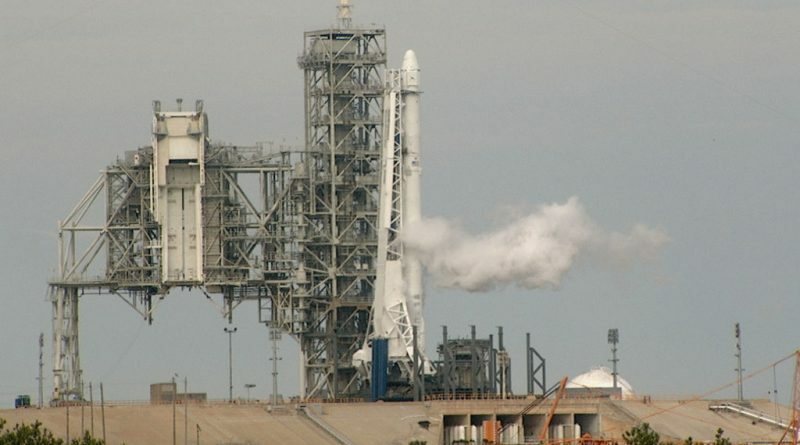 SpaceX said the late abort was called due to an abundance of caution to allow teams additional time to review that particular system and put corrective action in motion should it be required. SpaceX is aiming for a 24-hour turnaround to set up for a second launch attempt on Sunday at 14:38 UTC to get the Dragon SpX-10 International Space Station resupply mission of the ground. 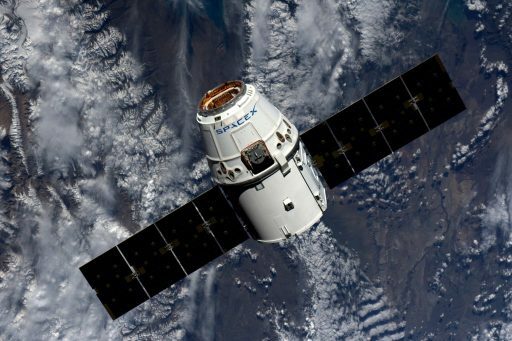 Loaded with 2,500 Kilograms of cargo, Dragon is carrying dozens of scientific experiments to the Space Station including a group of 40 mice that participate in a study of how bone tissue regenerates in the unique microgravity environment found on the Station. Saturday’s launch countdown went all the way down the wire with an abort called just in the nick of time at T-13 seconds by SpaceX’s launch team after reviews of a suspect engine actuator had been going on for most of the day’s countdown that had started in the very early hours of the day with the activation of the two-stage rocket for a multi-hour checkout campaign. Although the end of the day’s operation was slightly anticlimactic, running a full countdown provided a welcome exercise for the various new systems installed at LC-39A as part of its conversion to a Falcon launch complex. 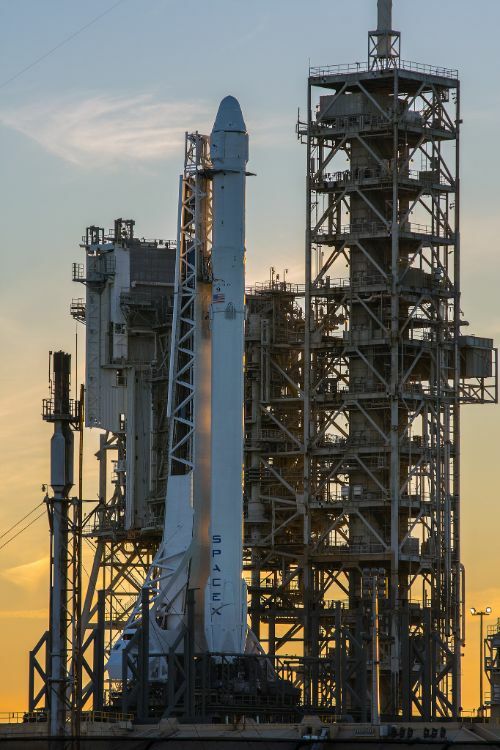 Falcon 9 had been moved to the launch pad on Thursday to undergo a dress rehearsal before the 65-meter tall rocket was once again lowered for a busy shift of late cargo loading to place time-critical science experiments aboard the Dragon within 24 hours of the planned launch time. The vehicle was raised in the overnight hours and went through relatively clean pre-flight checks with the exception of one system on the second stage’s MVac engine. According to SpaceX CEO Elon Musk, one of the hydraulic pistons within the Thrust Vector Control System of the MVac engine showed ‘an odd movement trace.’ Despite the out-of-family TVC reading, teams decided to press ahead with the propellant loading sequence while specialists reviewed data from the TVC system. An earlier problem on MVac’s Spin Start System, responsible for spinning up the engine’s turbopump when re-starting in flight, had been diagnosed on Friday as a tiny leak that was being examined while the rocket was still horizontal. A pressure check of the high-pressure helium start system in Saturday’s countdown was to trigger a hold at T-1 minute if pressure was indeed being lost. 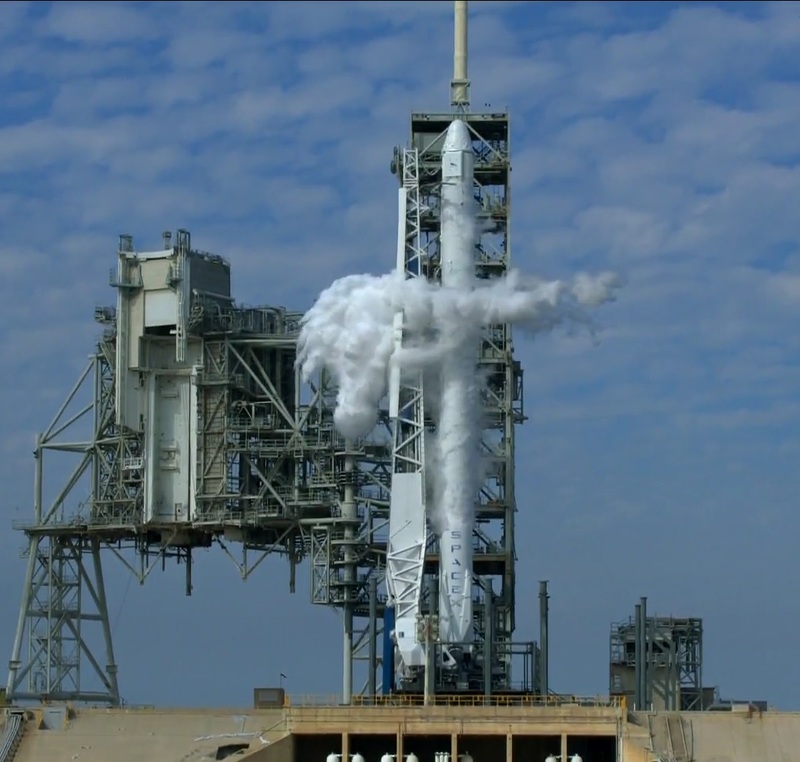 Also cropping up in the last hour of the countdown was a teething issue with SpaceX’s new Autonomous Flight Safety System that is making its active debut on this mission after having flown in shadow mode on a number of launches for testing purposes. 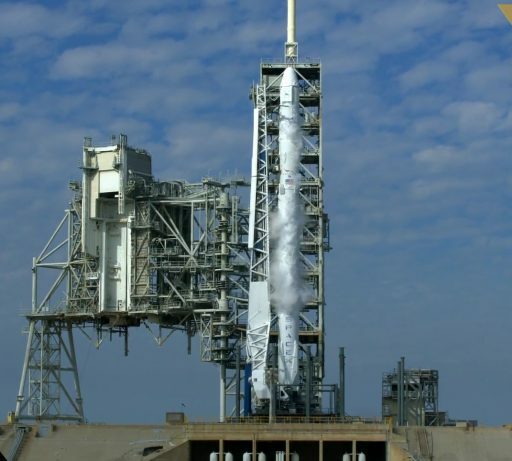 A software issue with the second stage AFTS required action by the SpaceX launch team in coordination with the Eastern Range, leading to successful resolution just five minutes before the day’s instantaneous T-0 time. Dealing with the MVac TVC issue, the launch team decided to allow the countdown to proceed into a scheduled TVC motion test of the second stage four and a half minutes prior to launch to capture additional data. 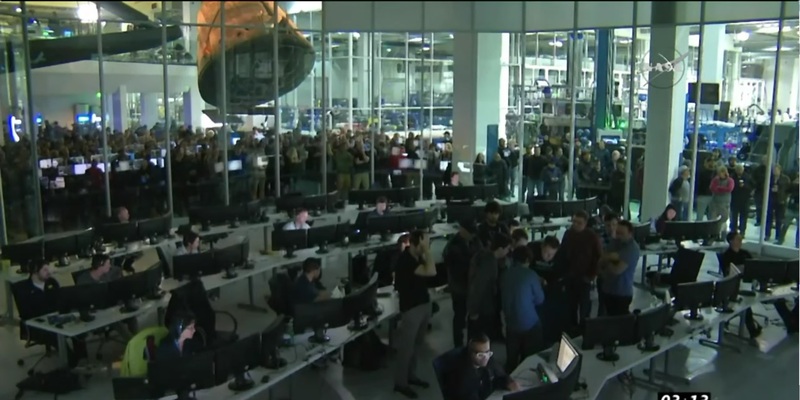 A group of controllers, including company leader Elon Musk, were seen huddled in the front row of SpaceX’s Hawthorne Mission Control Center, most likely discussing the suspect TVC signature and whether to commit to the launch. 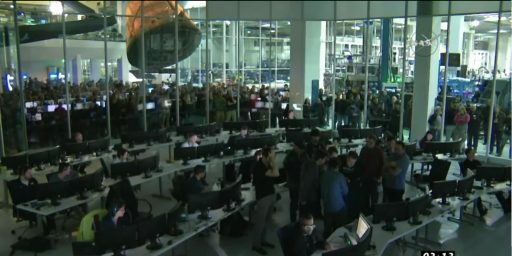 In the end, SpaceX decided to proceed with caution and called off the attempt with only a few seconds to spare before the hands-off point in the rocket’s automatic countdown sequence. To that end, SpaceX engineering teams will be busy over the coming hours to fully understand the signature and potential root causes before awarding Falcon 9 a clean bill of health or deciding to take corrective action. Per standard procedure, SpaceX is preparing for a 24-hour turnaround with a T-0 target of 14:38:59 UTC on Sunday, pending resolution of the Stage 2 TVC issue. 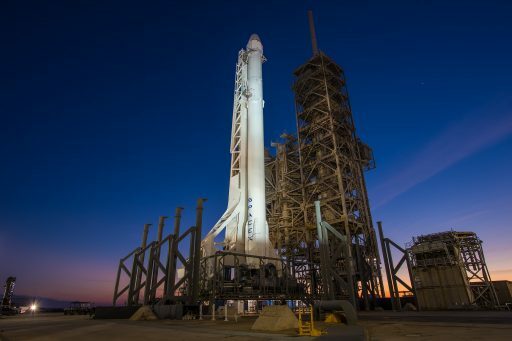 An update on whether SpaceX will commit to a launch attempt can be expected in the afternoon to evening hours, local time. 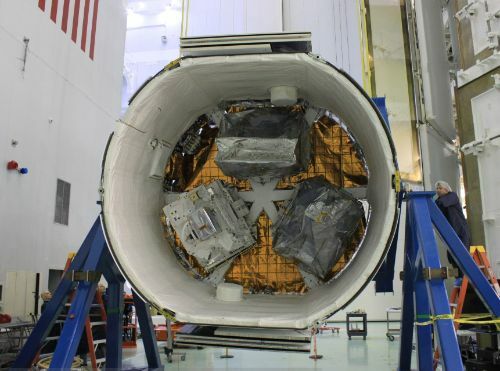 Dragon can remain sealed off for a 24-hour delay without the need for cargo replacement as all time-critical experiments are designed to support a one-day delay per their specifications. Should a longer delay be necessary, Falcon 9 would have to be lowered to allow access to Dragon to replace some of the experiments – including the mice – with their backups. Weather on Sunday is expected to be similar to Saturday’s opportunity with a 70% chance of favorable conditions. An area of unsettled weather associated with an upper-level trough is moving over the Florida peninsula Saturday afternoon and overnight, but should clear out in time for Sunday’s instantaneous launch slot. Primary concerns are violations of the cumulus cloud and flight-through precipitation rules; Upper Level Winds that had been a slight concern for Saturday are expected to calm down before Sunday’s attempt. 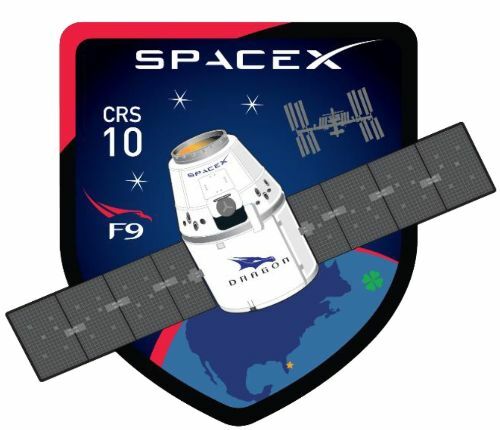 The Dragon SpX-10 mission is the tenth operational flight of SpaceX’s cargo craft to the International Space Station and marks the company’s return to launching from the East Coast after the September 1st testing accident on the company’s other pad at Cape Canaveral, SLC-40. Falcon 9 successfully returned to flight in January from Vandenberg Air Force Base in California with the next East Coast launch initially planned for late January. This schedule could not be kept despite crews working around the clock to activate the LC-39A launch pad SpaceX had taken over from NASA in 2014 for a 20-year lease as part of the Kennedy Space Center’s conversion to a Multi-User Spaceport. Saturday’s launch attempt-turned ‘countdown demonstration test’ was a valuable experience-gathering exercise for the ground support system at LC-39A that will eventually be tasked with handling all SpaceX ISS Traffic plus heavy-lift missions of the Falcon Heavy rocket once it premieres later this year.